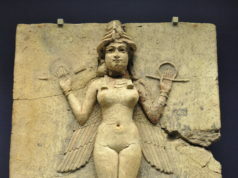 For anyone who studies ancient creation myths, it is impossible to deny that the parallels between early Genesis and other ancient Creation stories are palpable. Here we see some similarities (not named versus without form and void), where the most interesting part begins with the end. The word here for “spirit” is “wind” or “breath”, and it’s the beginning of the wind of God’s interaction with the deep that is described throughout the text. The key difference here is that it is not different gods of the elements warring things into existence, but a single, unified God under which all of nature exists. The elemental deities are replaced with mindless elements guided by a single God. Genesis 1:26 – And God said, let us make man in our image. Genesis 3:22 – And the Lord God said, Behold, then man is become as one of us, to know good and evil. Genesis 11:7 – Let us go down, and there confound their language. In these three verses (and nowhere else outside of the beginning of Genesis), God appears to refer to a plural of some kind when talking about things that he is doing. Some assume this is foreshadowing the Trinity, but this is a flawed conclusion; it’s reasonable to suggest that said interpreters are reading what they want to into the text. Others believe it is the “Royal Plural”, but given that its presence in the Old Testament is so confined, it’s equally unconvincing. Why would they throw away a grammatical manifestation of the Royal Plural partway through the text? As a result, we are left with a use of plurality in a certain part of the Torah that does not extend elsewhere. What could be the explanation for this? The first point one might raise is that perhaps these comments reflect fragments of a polytheistic culture later wrapped by monotheism. The issue here is that the authorship of these verses is attributed to two sources; the first to P and the last to J. Both sources came out of Judah at a time when Jerusalem had a well-established monotheistic religion, and it would be very difficult to read either end to end and not reach the conclusion that the author was monotheistic. Yet they both use the plural in the early chapters of the Torah when portraying God as talking to somebody who is apparently just hanging around while he is creating. While this does address the issue, it makes a lot of assumptions about God’s relationship with angels. Still, it does make one really good point: whatever plurals might exist in God’s words, it says that God, singular, is the one who did the creating. In short, we have a Creation account which mirrors other Creation accounts in the region and a monotheistic deity who refers to himself in the plural within that account. I believe that the evidence so far leans it towards a sloppy copying job; that these similarities are a message to the other religious groups in the region. We, as a culture, are familiar with the idea of edited copying as a response. If you said “Hey nice shirt” and I said “Your MOM has a nice shirt!” you wouldn’t say I was copying you; I would be using your sentence structure and replacing key elements to make a point. You see this same behavior in the early chapters of the Torah. 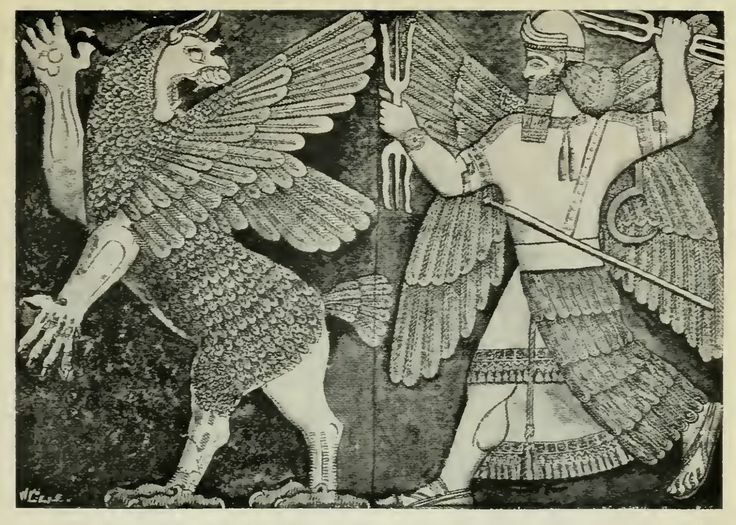 When we see the references to Marduk and Tiamat, we do not see the authors of the Bible copying plot elements; we see it taking a few elements and twisting them into a new message. The message here is that the polytheistic mythology is incorrect; stripped away and replaced with a single God who rules over the wind and the deep. The message is explicitly monotheistic, and a bit of a middle finger to the polytheistic Babylonian culture that authored the text being mocked. Taking this into consideration, the aforementioned contrast makes sense, as God refers to himself the way that polytheistic deities refer to the council because he has replaced the council. 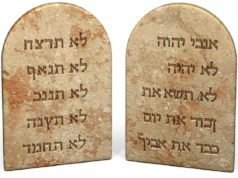 The Torah makes their point, and when they have moved away from backhanded responses to the Babylonians, they use different terminology to describe God. This also explains why the terminology suddenly rears its head again in the Tower of Babel story (Gen 11) — which contains some of the most obvious digs at Babylon in the entire Bible — and is a sensible place to harken back to previous responses to the Babylonians. In spite of what certain defective sources will tell you, not only do these verses not support polytheism, they do the opposite: they are setting up monotheism as the “correct view” in place of and in response to polytheistic cultures in the area.